Home > Free Samples Australia > Food & Drink Free Stuff > FREE Drink at Gloria Jean’s!! FREE Drink at Gloria Jean’s!! Enjoy free coffe on your birthday, get access to member-only treats and competitions and get notified on the latest exclusive offers directly from your inbox. Register now if you still don’t have an account in gloria jeans coffees. Don’t forget to subscribe to our newsletter to receive the best offers in Australia. 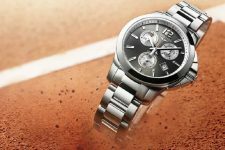 Win a Longines Conquest Roland Garros Watch Worth $2,065!! FREE Iced Tea from Gloria Jean’s with Purchase!